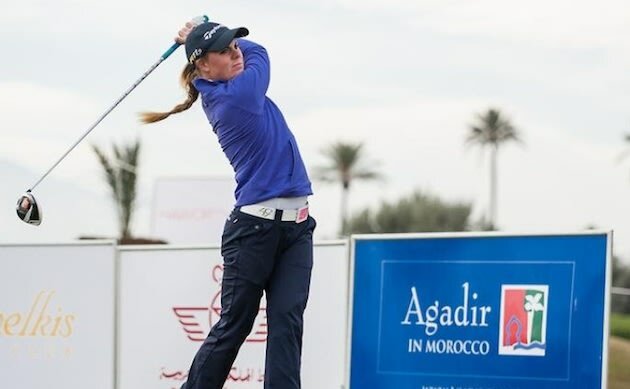 TwitterFor golfers, the only Black Widows we ever encounter is the occasionally soft spike lost on the driving range, but that wasn't the case with LET rookie Daniela Holmqvist. The Swede was playing in a pre-qualifier for the Women's Australian Open in Yarralumla, Australia when she felt a sharp pain in her leg on the fourth hole. When she looked down, she saw a spider crawling off and immediately the pain became severe. As someone who has looped over on the Australian links I can promise you that the one thing the place has is some nasty spiders, and the caddies immediately identified it as a Black Widow. What happened next might make Holmqvist the toughest golfer in the world. Her caddies told her that the venom from a Black Widow can sometimes kill a child in half an hour, so Holmqvist knew she had to act fast. With her leg swelling, Holmqvist reached into her pocket and pulled out a tee. She quickly cut open her skin and squeezed the venom out. "A clear fluid came out," Holmqvist said. "It wasn't the prettiest thing I've ever done, but I had to get as much of it out of me as possible." After she operated on herself with a golf tee, Holmqvist finished out her round, shooting a round of 74 that left her four shots out of qualifying, but still, she did this after getting bit by a Black Widow during her round! Now I wouldn't consider myself Rambo or anything, but if there is one thing in this world I'm not messing with it's a spider (unless it's this Spyder which I have used a few times on the course). The fact that she was able to fight through this and post an incredible round of golf considering what she went through might make her our favorite rookie of the 2013 season. And what did Holmqvist have to say after?